Box numbering device in drum shape for installation in roller embossing cylinders or rotation machines for printing or embossing. Available with any number of digits depending on the embossing Ø. 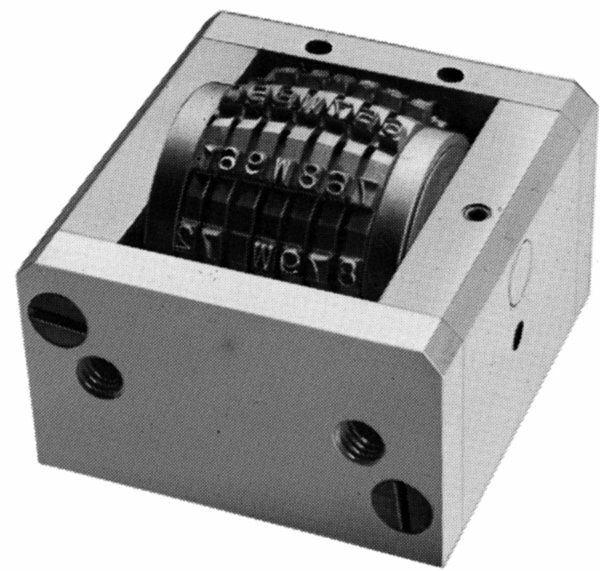 The embossing wheels can be engraved with numbers or letters and are adjusted manually with the adjuster pin.